One might ask why focusing on the level of transparency of an arbitral institution is so important, given the traditional aura of confidentiality that has always accompanied arbitral proceedings. The answer is multifaceted. Firstly, a cursory look at the developments of international commercial arbitration and, more significantly, international investment arbitration shows that confidentiality is not anymore the untouchable hallmark that it once was. Secondly, and most importantly, the peculiarities of the CAS Appeal Procedure make this body look like an arbitral institution but function in a way that is more akin to an international court. Furthermore, it is well known that one of the foundations of domestic and international arbitration is party autonomy. Parties freely opt to defer their dispute to an arbitral panel rather than a court for a variety of reasons, one of which can actually be the confidential nature of arbitration. That said, it is hard to ground the CAS Appeal Procedure on party autonomy. According to the CAS Code (Art. R47), in order for the CAS to have the necessary jurisdiction to hear an appeal, either the parties have expressly agreed to it, or an arbitration clause is contained in the statutes or regulations of the governing body issuing the decision under appeal. In practice, the regulations of the Sports-Governing Body often contain an arbitration clause in favour of the CAS, or these bodies require athletes to sign a specific arbitration agreement as a precondition for participating in an event or competition. An example of the former practice is given by the FIFA Statutes, which – at Art. 59 expressly require that national federations insert an arbitration clause in favour of the CAS in their regulations, and – at Art. 58 imposes that “(a)ppeals against final decisions passed by FIFA’s legal bodies and against decisions passed by confederations, members associations or leagues shall be lodged with CAS”. An example of the latter is given by Bye-law 6 to Rule 44 of the Olympic Charter, which obliges athletes entering the Olympic Games to sign a form containing a clause which devolves the CAS exclusive jurisdiction over any dispute arising in connection with the participation to the Games. In such a framework, athletes face the alternative between not competing at all and accepting to resort to the CAS in case of a dispute. The post-consensual foundation of the system is a feature that stands in irreconcilable conflict with the logic of international commercial arbitration, based on party autonomy. If the free will of the parties in choosing to arbitrate rather than litigate justifies, to a limited extent, a limitation of transparency in favour of confidentiality in international commercial arbitration, what justifies a low level of transparency at the CAS? In this regard, for example, the level of transparency of international investment arbitration has been subjected to intense scrutiny. Transparency should then, a fortiori, be scrutinized in the realm of sports arbitration, and in particular at the CAS, whose central position in the lex sportiva is widely acknowledged. This blog will focus on the two key issues related to the CAS’ transparency. Firstly, the availability of information about arbitrators on the CAS website. Secondly, and most importantly, the publication and ready availability of CAS awards. Furthermore, as the CAS ordinary procedure resembles traditional commercial arbitration, the blog will be only concerned with awards stemming from the Appeal procedure. Articles R33 to R36 of the CAS Code deal with independence and impartiality of CAS Arbitrators as a conditio sine qua non of the arbitration proceedings. Moreover, these provisions provide for mechanisms to guarantee this independence together with measures at disposal of the parties that want to challenge the independence or impartiality of an arbitrator. Yet to diligently exercise their right, and ensure the independence of arbitrators, parties need full access to information on the arbitrators. Analysed through the lens of transparency, the problems arise from the fact that it is difficult to assess the inclinations and history of arbitrators prior to initiating proceedings before the CAS. In other words, given the limited information on arbitrators found on the CAS website, parties are not equipped with the necessary tools to make a fully informed choice. There is always a risk for conflicts of interest that parties to CAS arbitration should be able to assess on a level playing field, i.e. through a simple visit to the CAS website. Thus, more transparency with regards to the information provided about arbitrators would help reduce the prevailing information asymmetry between the one-shotters (mainly the athletes and their lawyers) and the repeat players (mainly the SGBs and their lawyers/legal counsels) at the CAS. Not only should the section ‘List of Arbitrators’ give access to each arbitrator’s jurisprudential record and relevant past or present contractual relationships. It should also list publications or comments arbitrators have released in the past, as some of them might have already formed a view on a certain type of cases. Although this is not always an indicator of bias, it would permit the parties to make a better-informed choice. Furthermore, and more importantly, in order to level the playing field between the parties, the information about arbitrators should also include a reference to who nominated them in past CAS arbitrations. Additionally, the fact that dissenting opinions are not recognised nor notified by CAS adds another layer to a feeling of opacity surrounding the arbitrators’ profiles and views. Finally, according to Art. R33 CAS Code, ICAS draws up the list of arbitrators. From the point of view of securing the CAS’ transparency and accountability, it would be necessary that the nomination process be publicly scrutinized. Thus, ICAS should publish the name of the institutions putting forward each new arbitrator, as well as the reasons why they were considered adequate candidates. The lack of transparency of the CAS is further illustrated by the process followed for the publication of its awards (and in particular awards of the Appeal Division). Conversely, the default rule for the CAS Appeal Procedure is publicity. Art. R 59(7) provides that “(t)he award, a summary and/or a press release setting forth the results of the proceedings shall be made public by CAS, unless both parties agree that they should remain confidential. In any event, the other elements of the case record shall remain confidential”. The rationale for a different treatment between the Ordinary Procedure and the Appeal Procedure lies in the consideration that, unlike the more commercially-oriented disputes destined to the Ordinary Procedure, appeals concern disciplinary decisions issued by international federations that are of interest to the public and that, in any case, might have already been disclosed. From a comparative point of view, it is noteworthy that the public interests at stake are one of the reasons why international investment arbitration, as opposed to – or at least more rapidly than – commercial arbitration, has shifted from a presumption of confidentiality to a presumption of openness. In oversimplified terms, investment arbitration disputes involve States, which – for instance – have to resort to the national budget to pay in case of adverse awards. Also, governments’ public policies are often challenged before investment arbitral tribunals by foreign investors. All these matters are of evident public interest and were a key factor in pushing for more transparency. In the field of international investment law this process was initially triggered by NAFTA Chapter 11 and its interpretation by the Free Trade Commission (FTC), followed by the 2006 amendment to the ICSID Arbitration Rules. The development of the UNCITRAL Rules on Transparency, which also provide for amicus curiae submissions and open hearings, made another important stride in that direction. Turning the attention back to the CAS, all the awards published are released on the CAS website. Although it could be argued that, at least for the Appeal Procedure, the default rule should go further down the road of transparency following the trend in treaty investment arbitration, a transparency-weary commentator could potentially be satisfied with the existing framework of the CAS Code, if only the CAS would implement it consistently. Instead, the CAS administration seems to follow a rather opaque and discretionary publication policy that gives rise to major transparency issues, the main one being the fact that, as we will see, only a limited number of awards are published on the CAS website. The CAS statistics include the number of Appeals submitted to the CAS (until 2013) and it is easy to determine the number of awards published per year in the CAS Database between the entry into force of the Code (22 November 1994) and the end of 2013. We compared the two figures and obtained the percentage of awards published each year in relation to the number of appeals submitted. A quick glimpse at the table suffices to notice an unfortunate trend in the publication policy of the CAS. If we exclude the first couple of years, in which the number of appeals submitted were extremely limited, the percentage of awards published is constantly below 30% (with the sole exceptions of 2001, 2002 and 2008, and – in any case –substantially below the still hardly acceptable threshold of 50%). The figures get even more striking as the workload of the CAS increased. From 2009 onwards, the average percentage of appeal awards published stands at a disappointing 17.5%! This state of affairs significantly hampers predictability and coherence of the CAS jurisprudence, as well as threatens the objective of providing legal certainty to the sporting world at large, which is at the heart of the appeal procedure at the CAS. Indeed, the CAS jurisprudence has acquired throughout the years a law-making role that, in turn, calls for full transparency of its awards. If we read through the CAS case law we can find that arbitrators often refer, and demonstrate a consistent deference, to CAS jurisprudence. To this end, transparency becomes a central issue, as it prevents inconsistency by subjecting the CAS panels to the critical scrutiny of their peers. After all, the need for coherence has been stressed by the CAS itself when it has recognised that, in spite of the lack of stare decisis at the CAS, arbitrators are disposed to “follow the reasoning of a previous Tribunal […] both of a sense of comity and because of the desirability of consistent decision of the CAS, unless there were a compelling reason, in the interest of justice, not to do so”. From the point of view of the potential parties to CAS arbitration this is of particular importance. If awards are systematically published, lawyers (and in fine the parties) are better able to determine before initiating the arbitration whether their case is likely to succeed. Furthermore, the availability of awards on the CAS website would put repeat players and one-shotters on an equal playing field, eliminating – at least in this regard – the edge that the former gain on the latter. The need for predictability requires not only awards to be published, but also to be promptly published after they are rendered. The potential disputing parties might have an interest in having previous awards available quickly. In this regard the above-mentioned role of precedents in CAS jurisprudence plays again a significant role. It has been noticed how some decisions are based on solutions adopted in previous awards that have not yet been published. Having the award readily at disposal is necessary for the parties’ legal argumentation. This way the party’s counsel can, respectively, either use the award as a valid leg to bolster her arguments or criticise the position recently adopted by a panel on the same issue. Additionally, a more systematic publication of recent awards online would significantly contribute to increase the level of transparency at the CAS, as the web represents a great opportunity for the public in terms of speed and accessibility. On the CAS website it is possible to find a section specifically dedicated to ‘recent decisions’. This section, though, does not seem to be organised as systematically as it could be. The CAS’ policy regarding the recent decision section of its website is extremely confusing. It includes some awards from 2016 and 2015, but not all the awards from these years available in the CAS database, as well as older awards from 2012 and 2011, which can hardly count as ‘recent decisions’. Apart from the consideration that “these awards disappear from the website after a few weeks and it is not possible to find them anymore”, a more systematic publication of the recent awards would be desirable. A valid model to follow has been identified in the websites of the Italian Camera di conciliazione e di arbitrato per lo sport (CCAS) and the Canadian Centre for Ethics in Sports (CCES), where the decisions taken are systematically published without excessive delay. There is a clear, widespread and apparently unstoppable demand for transparency in contemporary international law. This demand has been voiced by civil-society, governments and international institutions with increased frequency. Thus, more room for transparency has been made within international institutions in the last few years. We have seen very briefly how even in the confidentiality-savvy field of international arbitration transparency has made its way up on the ladder of priorities. In sports arbitration, where the jurisdiction is often not exercised over the parties on the basis of their consent, the judicial activity of the CAS must be a fortiori open to scrutiny not only by the parties but by the public at large. There are many ways to evaluate the legitimacy of a court. One of these is the persuasion among the public that an international court has the right to exercise authority in a given domain. To be persuaded, it is essential that the public has a possibility to assess how the CAS carries out its activities and, therefore, be allowed the broadest access possible to CAS awards to be able to evaluate (and criticize) their rationality. A greater transparency at the CAS would allow for greater participation of those that might be affected by its activity. This call for greater accountability of international courts and tribunals, though, does not seem to resonate much at the CAS. If one looks, as we have done in this blog, at the reality of transparency at the CAS, one cannot help feeling disappointed. Information about arbitrators is scarce and it is hard to find any consistency in the publication of CAS awards. Yet the CAS could intervene on these two key aspects. To this end, we propose a few brief recommendations for the CAS administration to follow. First recommendation: The CAS should include in the ‘List of Arbitrators’ section of the website a downloadable individualized PDF comprising: jurisprudential records, past or present relevant contractual relationships, publications or comments arbitrators have released in the past and a summary indicating who nominated them in past CAS arbitrations. Second recommendation: The CAS should simply remove the phrase ‘unless both parties agree’ from the provision of Art. R59. Thereafter, parties would be in principle deprived of the authority to veto the publication of a sentence. Third recommendation: The ‘recent decisions’ section should contain (for a short timeframe, maximum three months) all the recently decided awards and the database should provide all the awards rendered and not only less than a fifth as is currently the case. There is much to do, but with a bit of will the CAS can become a world-wide leader in terms of arbitral transparency and greatly strengthen its legitimacy and standing in the eyes of its users and of the public at large. The statistics used for this article are taken from the CAS website, the available data stops on 31 December 2013. Lorenzo Casini, The Making of a Lex Sportiva by The Court of Arbitration for Sport (2012). German Law Journal, Vol. 12 n. 5, 452, Antoine Duval, Lex Sportiva: A playground for transnational law (2013). European Law Journal, Vol. 19 Issue 6, 822-842. Anne Peters, Towards Transparency as a Global Norm in Andrea Bianchi and Anne Peters, Transparency in International Law, Cambridge University Press 2013, 557. See Cindy G. Buys, The tensions between confidentiality and transparency in international arbitration, The American Review of International Arbitration (2003), Catherine A. Rogers, Transparency in International Commercial Arbitration (2006) and Stephan W. Schill, Five times transparency in international investment law (2014), The Journal of World Investment and Trade, Volume 15, Issue 3-4. Rigozzi/Hassler, Sports Arbitration under the CAS Rules, Chapter 5 in Arbitration in Switzerland, Kluwer Law International (2013), 988. 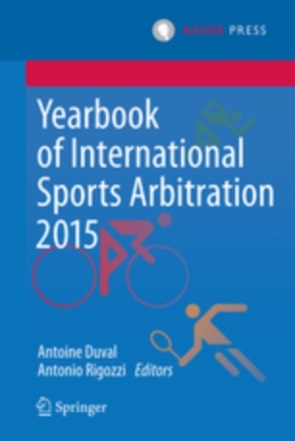 Despina Mavromati & Matthieu Reeb, The Code of the Court of Arbitration for Sport, Commentary, Cases and Materials, Kluwer Law International (2015), 134. In some cases information is limited to a couple of lines, e.g. “Juris doctor; Professor of International Law at […] University School of Law; practicing lawyer; international arbitrator”. See http://www.tas-cas.org/en/arbitration/list-of-arbitrators-general-list.html, accessed 19 January 2017. The last part of Art. R 59(2), inserted with the 2010 revision of the CAS Code, reads as follows: “Dissenting opinions are not recognized by CAS and are not notified”. Catherine A. Rogers, Transparency in International Commercial Arbitration, (2006). Penn State Law, 23. See, among others, Cindy G. Buys, The tensions between confidentiality and transparency in international arbitration, The American Review of International Arbitration (2003), 121. Cindy G. Buys, Ibid, 135. Despina Mavromati & Matthieu Reeb, The Code of the Court of Arbitration for Sport, Commentary, Cases and Materials, Kluwer Law International (2015), 588. Stephan W. Schill, Five times transparency in international investment law (2014), The Journal of World Investment and Trade, Volume 15, Issue 3-4, 369. The accuracy of the findings is limited by the lack of precision of the CAS’ statistics. Namely, in the statistics section of the website it is possible to retrieve only data referring to the Appeals submitted every year but not to the appeal awards rendered. Therefore, our yearly comparison cannot take fully into account the temporal shift between the submission of the case and the rendering of the decision (as well as the limited number of cases which were withdrawn). In other words, in reality, the share of awards published is probably slightly higher than indicated in the table. Gabrielle Kaufmann-Kohler, Arbitral Precedent: Dream, Necessity or Excuse? (2006). Arbitration International, 365. CAS 96/149, A. C[ullwick] v. FINA, p. 251, 258 – 259, cited in Antonio Rigozzi, l’Arbitrage internationale en matiére de sport, (2005), 638. Antonio Rigozzi, l’Arbitrage internationale en matiére de sport, (2005), 640. Going back with the memory to a few years ago, it has be noted how Pavle Jovanovic’s counsel would have had great benefit in having the possibility to read the award rendered in the case that saw the French judoka Djamel Bouras opposing the International Judo Federation in a doping case, which was not yet published when the Jovanovic case was submitted. Had the award been promptly published he would have had the chance to invoke the solution contained therein (See Antonio Rigozzi, l’Arbitrage internationale en matiére de sport, (2005), 639). Anne Peters, The Transparency Turn of International Law (2015), The Chinese Journal of Global Governance, 3. 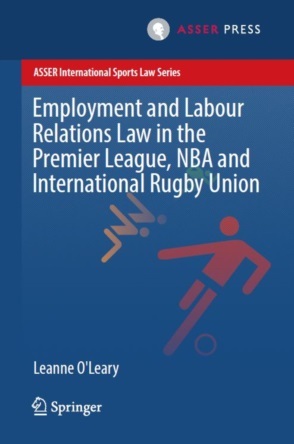 For a wider discussion on the lack of consent in sports arbitration, see A. Rigozzi & F. Robert-Tissot, “Consent” in Sports Arbitration: Its Multiple Aspects’, in E. Geisinger & E. Trabaldo de Mestral (eds. ), Sports Arbitration: A Coach for other players? (2015), 59 -60; A. M. Steingruber, Sports Arbitration: how the structure and other features of competitive sports affect consent as it relates to waiving judicial control, 20 American Review of International Arbitration (2009), 59, 73; M.A. Weston, Doping Control, Mandatory Arbitration, and Process Dangers for Accused Athletes in International Sports, 10 Pepperdine Dispute Resolution Law Journal (2009), 5, 8; and D. H. Yi, Turning Medals into Metal: Evaluating the Court of Arbitration of sport as an international tribunal, 6 Asper Review of International Business and Trade Law (2006), 289, 312.